It has happened that only few people today know what the balm actually is. We say – it's a balm on the soul or it's a real balm – the word is soothing and smoothing. The balms, we offer you, deserve their name. Their production has an unusually long tradition in Russia. Russian balm is a dense fluid, created as a thoughtful combination of natural extracts from different fruits, roots and healing herbs prepared to provide the most powerful effect to the target part of the organism. 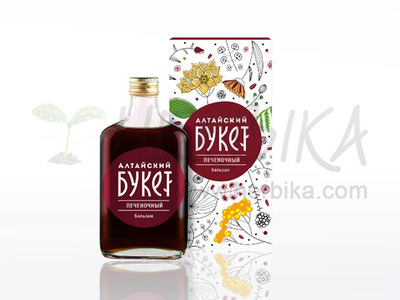 It is a concentrated healing composition – a beverage that is used on teaspoons. We chose the most interesting of them for you - by their influence on the organism, the age of the recipe and composition – with an emphasis on the origin of the components (therefore "Altaic").